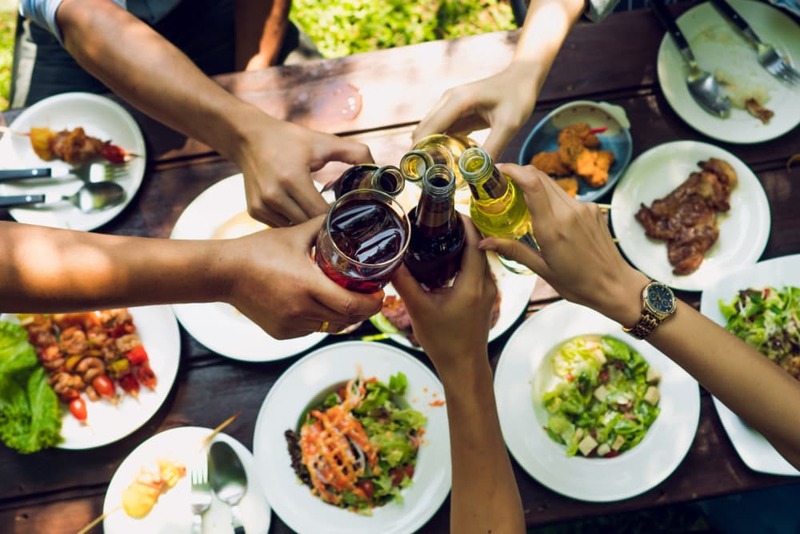 Raintree Apartments blends an excellent location with carefully curated apartment features and amenities to create a community you’ll be eager to come home to each night. 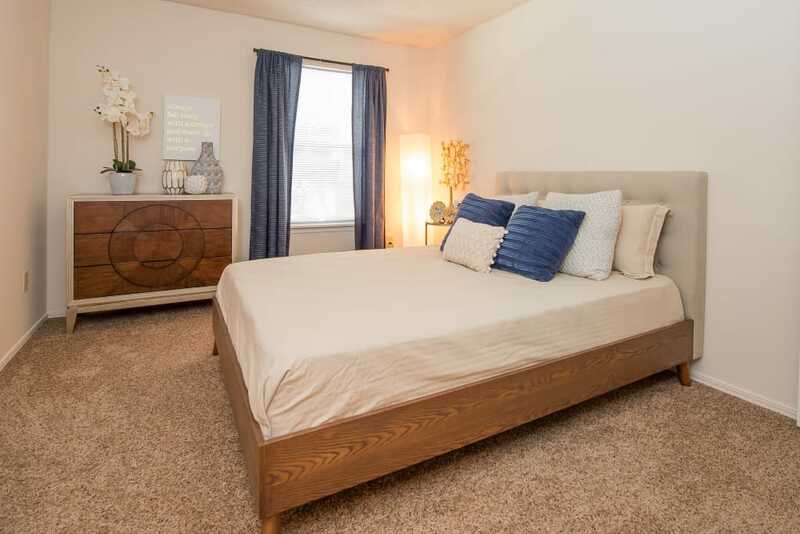 With our studio, one, and two bedroom apartments available for rent in Wichita, KS, you’ll have no problem finding the home that best suits your needs. 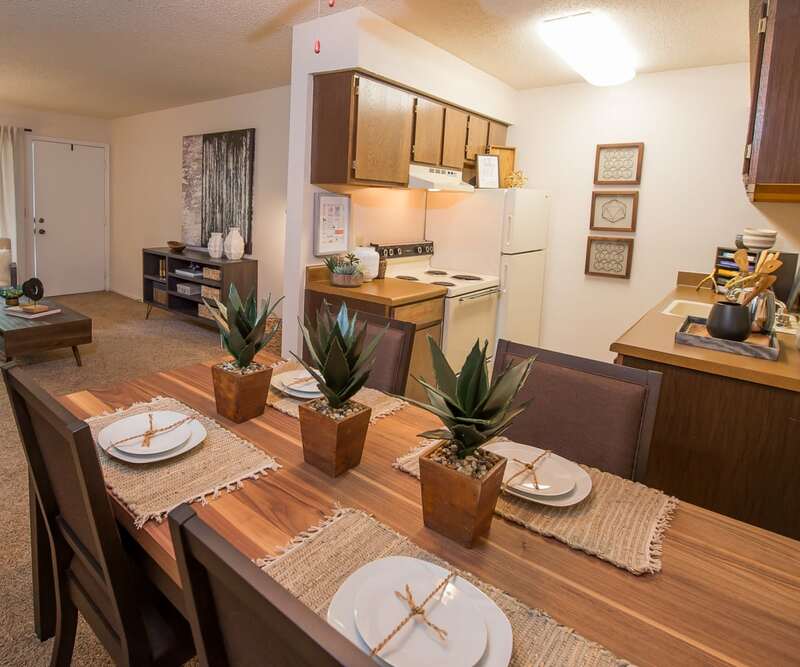 Depending on your lifestyle, a studio may be right for you, but for residents needing a little extra space with roommates, our two bedroom options have a great aesthetic and spacious layout. 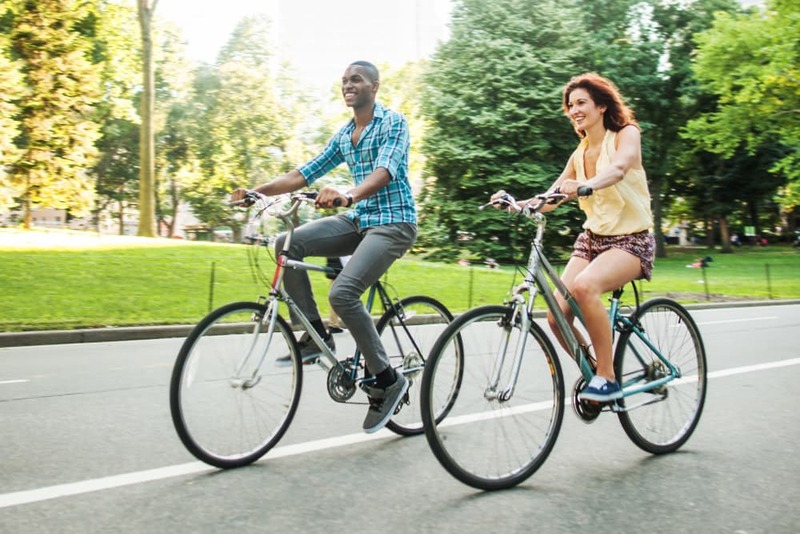 Raintree Apartments provides convenient living for residents who enjoy an active outdoor lifestyle. 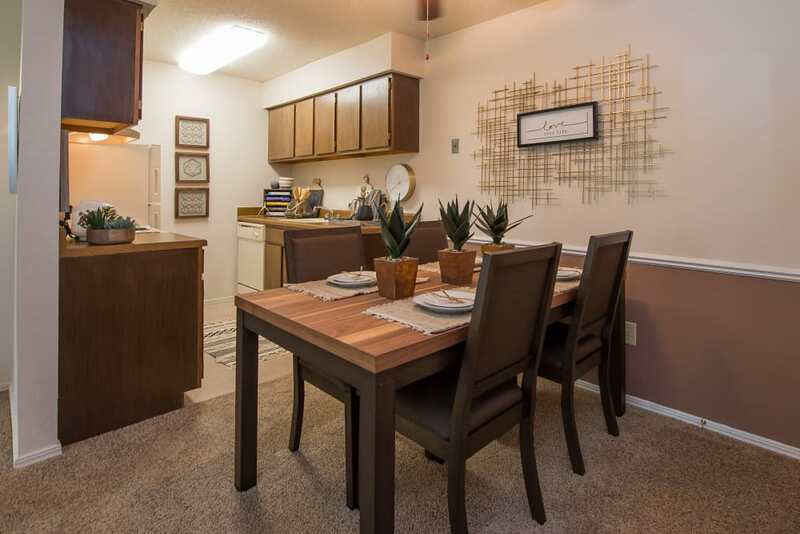 Come home to Raintree Apartments and enjoy an excellent location and welcoming community. Raintree Apartments offers comfortable apartment living in Wichita, KS. 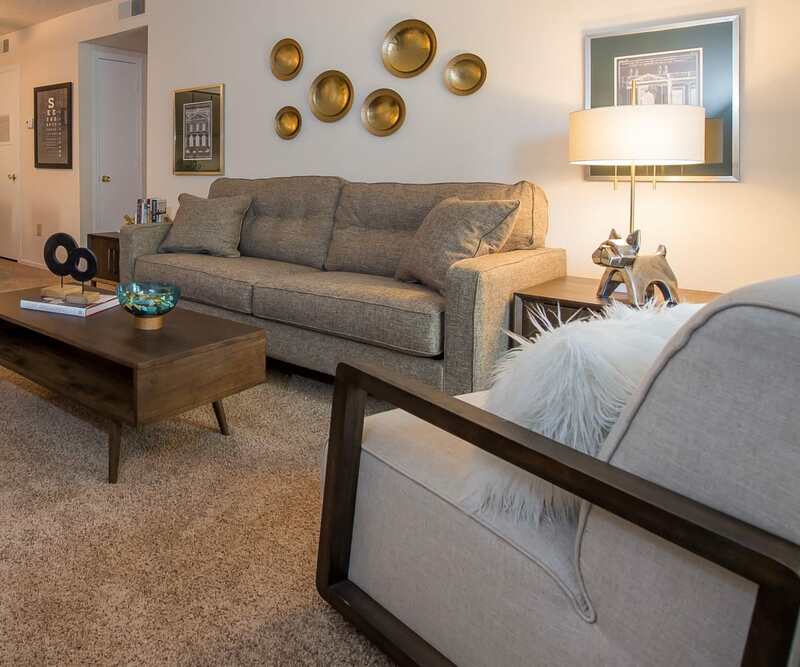 Choose from studio, one, and two bedroom apartments in a variety of spacious floor plans. Each layout features thoughtful design aimed at enhancing your lifestyle. Enjoy preparing meals in fully equipped kitchens and savor the central heat and air conditioning to keep your home temperature just right. Browse our selection of Wichita apartment floor plans to find your favorite. 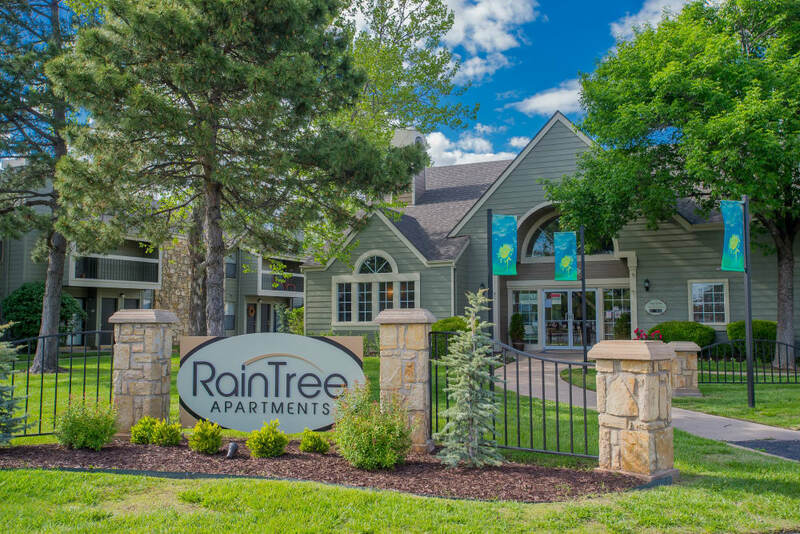 Raintree Apartments provides residents with a truly unique apartment living experience in Wichita. You’ll love taking evening walks around the onsite 10-acre lake. Cast your line out and enjoy fishing in the privacy of your own apartment community. Raintree Apartments makes it easy to spend time outdoors, be it at the lake or at the swimming pool. When it comes time to take the party inside, you’ll love spending time in the clubhouse or in the game room, which includes a 72-inch TV and PlayStation. 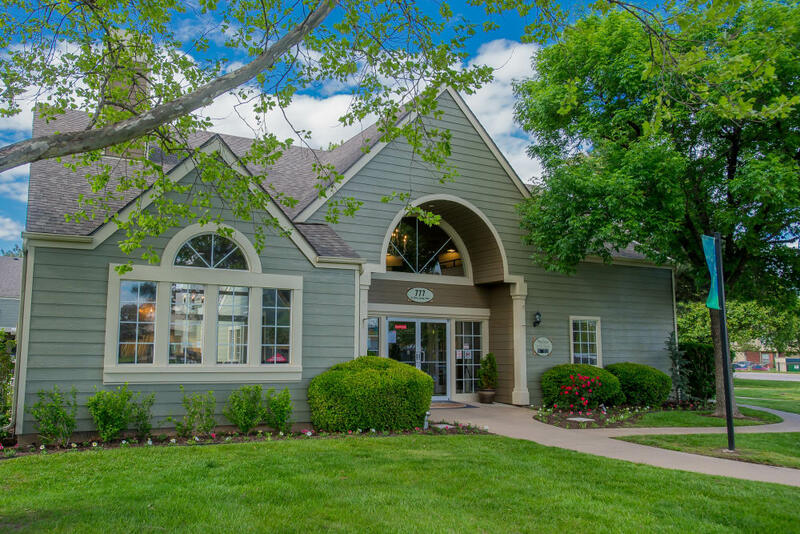 In addition to an amazing property at Raintree Apartments, residents love spending time exploring Northwest Wichita and all of the hidden treasures buried within. 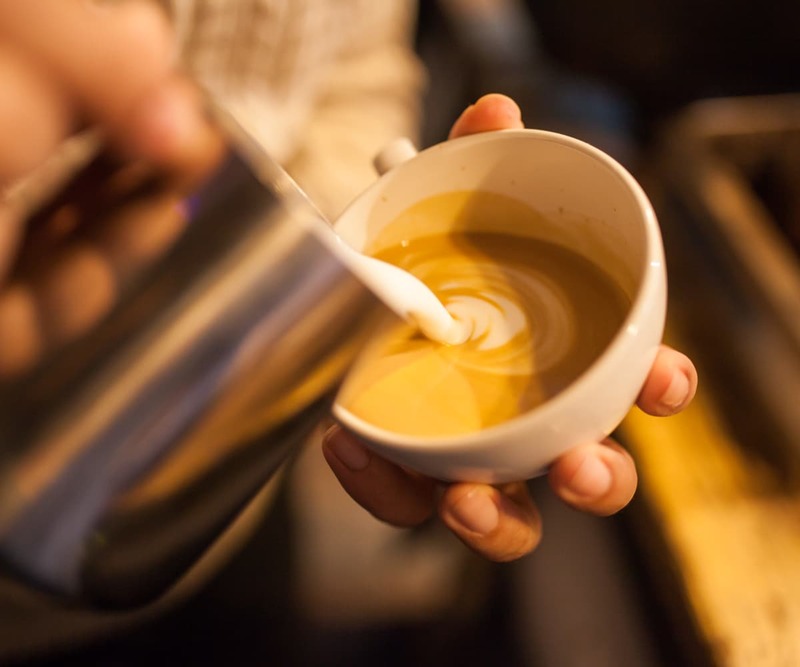 Living here places you close to supermarkets, casual and fine dining, shopping, and the conveniences of daily life. Residents with children appreciate our location in the Wichita School District, which includes Kensler Elementary, Wilbur Middle School, and Northwest High School. Discover all of the noteworthy business, parks, and entertainment options in Northwest Wichita. 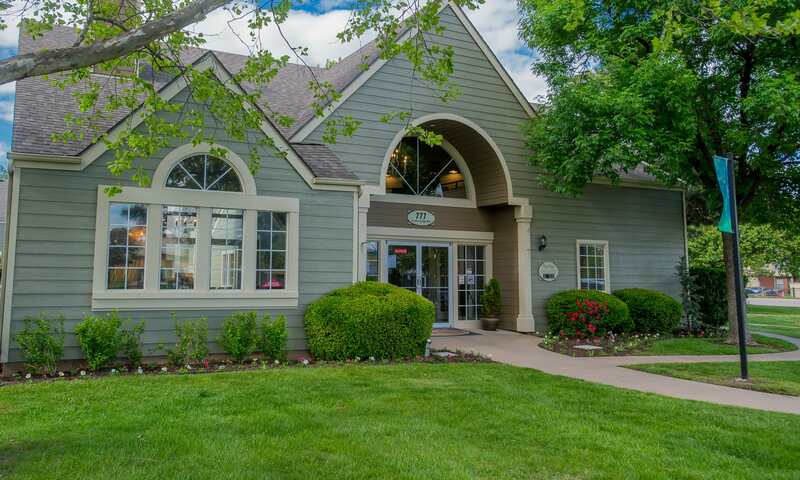 Enjoy lakeside living in Northwest Wichita.